This problem seems to happen after setting Notepad++ to run as administrator on Windows. 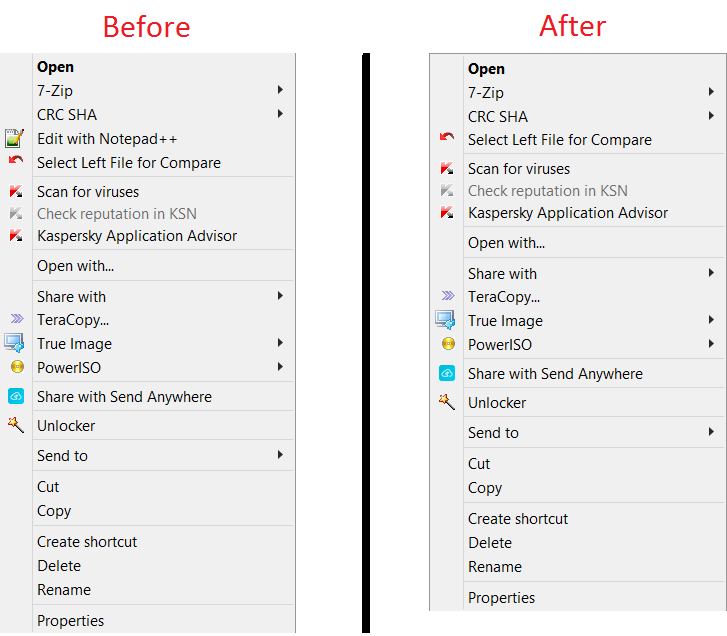 If done correctly, the “Edit with Notepad ++” would disappear like shown in the below before/after figure. Now we need to recreate it but a working version this time. 8. Create a new string variable called icon and set the value to path-to-notepad++.exe where path-to-notepad++.exe is the full path, e.g. C:\Program Files\Notepad++\notepad++.exe. In my case, I had to set it to C:\Program Files (x86)\Notepad++\notepad++.exe since I am running a windows 64-bit version. You are done, now you should find a working “Edit with Notepad++” that does not throw out the error in the beginning of this post. This entry was posted in Software, Technology, Windows and tagged failed (2), Is this command correct?, notead++, ShellExecute. Bookmark the permalink. thanks you, the problem has been fixed. You. Are. Genius. Thank you so, SO very much! Great write up !! Have been dealing with this on windows 10 for a while. just a little note, add some images for the last few steps this might help some more people ! Thanks for the kind words LazySmerf. Regarding adding images for the last few steps, I think that is a great idea and will do so as soon as possible. Fire the freaking imbeciles that do your captcha. I’m not retyping my entire freaking entry because it timed out in the #$%$%#% time I typed it. F*** that’s designed by morons. It’s not the timeout that’s retarded. It’s that it doesn’t do it with a popup AND doesn’t save the page contents for when you hit “back”. So you lose anything you haven’t copied to the clipboard. AND the time limit is preposterously short — what, 1, 2 minutes, tops? What, is this twitter? Someone should be fired. No need to use foul language, I had the Captcha enabled to protect the blog from being flooded by spam from automated bots. In any case, yes the timeout is 120 seconds (2 mins) however no user has pointed it out as a problem in the past and i have not personally faced an issue before. However, to avoid this issue in the future I have bumped it up to 10 mins, hopefully that will avoid users such as yourself from facing this problem in the future. 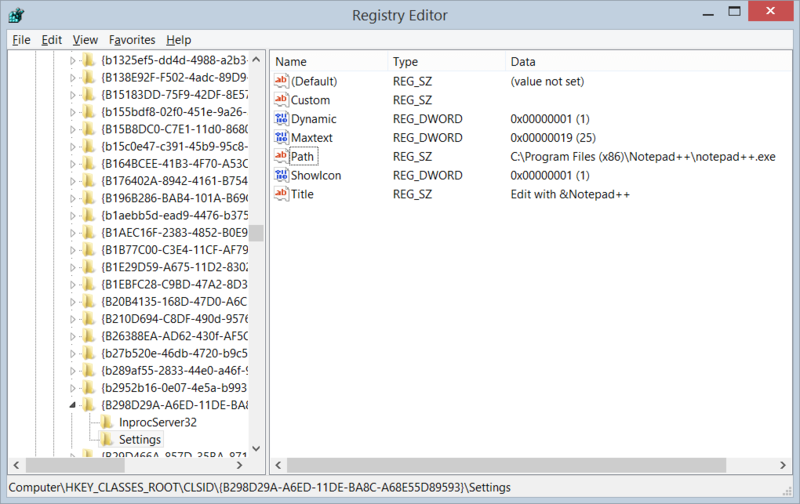 The error has gone away, but now I have to give the administrators password everytime, The error had initially appeared when I had selected the “run as administrator” in the properties of Notepad++.exe. I would put more information here but the CAPTCHA timed out. Hello Ted, Tim here (admin of blog). The CAPTCHA timeout is 10 mins, is that not enough time to post the info? 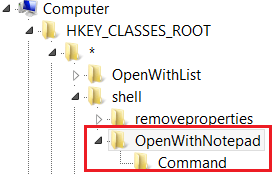 what happens if I dont have the notepadd++ under HKEY_CLASSES_ROOT ? Thanks for the advice, but you may need to redo your screenshot, maybe. Thanks so much! It’s very useful!